She added if the Mayor of London did not know, “he has not been asking the right questions”. 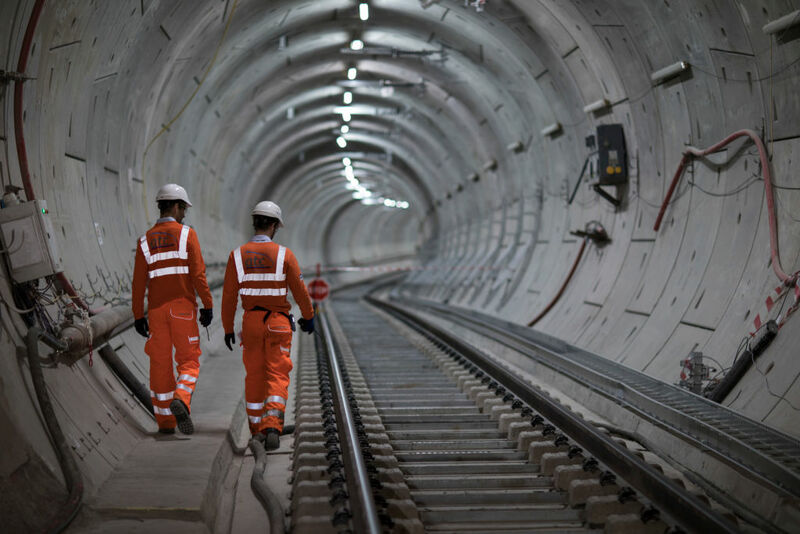 Crossrail could be subject to further delays and require an additional £2bn in funding, according to Transport for London. Ms Benita told talkRADIO’s Matthew Wright: “It is absolutely incredible. This project has been talked about for decades. The first tunnel was started about seven years ago. “And yet, the delay and the spiralling costs were only announced a couple of months ago. “The Transport Committee in the London Assembly is trying to do their best in terms of finding out what has gone on here. “But, the fact that the Mayor can still say that he did not know about all of this is just absolutely unbelievable. Ms Benita added that there has yet to be a “confirmed opening date”, despite the extra funding. “It is a huge amount of money that we are talking about now. It is so late in the day for the project for all these things to be emerging now. “The incoming chief executive is saying that it is worse than what was announced a couple of months ago. “He said tunnels are not even fitted out yet, stations are not ready and the testing has not been done. “Even with the additional £2-3bn, there is still no confirmed opening date. Khan has been summoned to appear at a hearing of the London Assembly Transport Committee next week to explain what he knew about the delay. The mayor says he only found out the opening would not take place this month on August 29, however the former chairman of Crossrail said Khan was aware of the problems at least a month before. Crossrail is set to run from Reading and Heathrow in the west to Shenfield and Abbey Wood in the east, via 13 miles of new tunnels in central London.